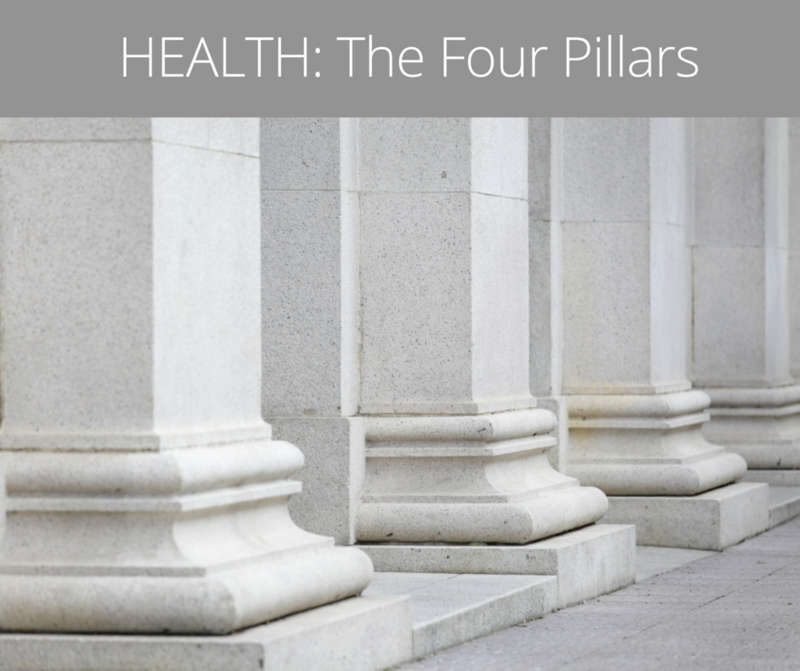 The four pillars of health include life quality, nutrition, sleep, and exercise. Before you roll your eyes and say, “Oh, I know that, it’s nothing new,” you may want to continue reading. Most of what you’ve heard about the four health pillars has come from mainstream media, fed by commercial interests, and it’s likely that you have a skewed perspective and probably believe some common myths. You can think of life quality, nutrition, sleep, and exercise as pillars. But sometimes it helps to think of them as legs of a table, where the tabletop represents your health. If any one of the table legs is shaky then the tabletop, your health, is in jeopardy. Here’s the catch, all of the table legs are interconnected, each leg impacts the other legs. For example, if you don’t sleep well or aren’t getting adequate sleep you can affect all of the other health pillars. It’s known that inadequate sleep leads to overeating and unhealthy food choices, increases irritability and lowers stress resilience, and impacts how much and how often you exercise. You can mix and match here; poor nutrition can leave you tired and lethargic, decreasing the amount of exercise you get, increasing stress and decreasing your sense of well being, and can disrupt sleep patterns. Got the picture? The four health pillars are ALL equally important! Focusing on one or two pillars while allowing the others to go unchecked is a HUGE mistake. From the examples above you can see how interconnected the health pillars really are. So don’t make the mistake of thinking that focusing all of your attention on what you eat or how much you exercise will keep you healthy. Each health pillar needs your attention and work to keep it supporting your health. This is a broad category but one key player guilty of undermining our health is chronic stress. 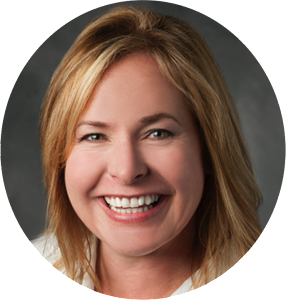 It is essential that you develop strategies for managing your stress. The good news is that you don’t have to avoid stress! Let’s face it, life is going to throw us some stressful situations no matter how hard we try to avoid them. What is important? How you perceive stressful events and how you process the external stimuli, the stress causer. If you start telling yourself stories, making the situation into something more than it is, and constantly worrying over it, then your health will likely suffer. Depending on the source of your stress, certain strategies can help you manage it. These include proven modalities like mindfulness based stress reduction and cognitive based therapy. Other members that belong to the “Life Quality” health pillar are purpose, social connectedness, and happiness. While these mind-body associations were once laughed at by the scientific community, data in recent years has them singing a new tune. Clear evidence supports a mind-body connection. What we think does influences our health. Having a purpose in life, no matter how big or small, is essential to staying healthy, especially as we age. Want to prevent illnesses and heal faster when you do get sick? Then give your friends a call. Studies have shown that people who have strong social networks, people they can talk with, get sick less frequently and heal faster when they do get sick. Happiness, while a bit of an elusive term, plays a role in our general well being and maintaining our health. Eating healthy is actually simple, we’ve just made it really complicated and difficult. I love Michael Pollan’s quote on eating because he absolutely nails it…”Eat whole foods. Mostly plants. Not too much.” Yep, that’s how simple it is. And yes, it is hard to do despite its simplicity. So if you struggle, you’re not alone! Why is it so hard for so many of us despite it being so simple? We are surrounded by and inundated with high calorie food choices designed to make us want more. Once you start eating these foods, it takes a tremendous amount of willpower to stop. Your body is going to fight you every step of the way. Certain foods, particularly those found in processed foods like sugar, fat, and salt, override our normal biology making us want more. There’s no simple answer to breaking the bad eating habits most of us have. What is clear…eating a diet high in plant-based foods like whole grains, vegetables, fresh fruit, legumes, and nuts, contributes to a healthy body and helps prevent disease. In addition, being aware of the foods that you’re allergic to and intolerant of will help you avoid the foods that could be causing inflammation and undermining your health. Having the mind-set and intention to eat for health rather than weight loss can be of benefit. In addition, simply adding some healthy foods like green veggies into your diet rather than eliminating foods can be a way to ease into a healthier eating pattern. I really can’t overemphasize the value of sleep to our health. Our bodies follow a night/day cycle called our Circadian rhythm. This is a biological clock that keeps time for the processes of the body. It helps our body know when certain functions should be carried out. When we sleep at night a tremendous amount to repair gets done in our bodies. Our immune systems are more active and the mechanisms that rid our bodies of potential disease causing factors is increased at night. When we disrupt the normal body clock we inhibit the repair and disease prevention mechanisms. If you suffer from insomnia, sleep apnea or other sleep disruptions, including shift work, you may need to intervene to get your health on track and to prevent disease in the future. It’s been well established that shift workers have higher rates of cardiovascular disease as a result of their disrupted sleep. Many people don’t realize that they have sleep apnea. If you feel tired during the day on a regular basis, speak with your doctor about the possibility of sleep disruption due to sleep apnea. The human body is meant to move and to move often. Our modern lives have us sitting way too much and it’s killing us! If you live a sedentary life, studies show that the #1 lifestyle choice you can make to improve your health and decrease your disease risk is to get moving. And if you’re already active, staying active will be one of your best allies in staying healthy as you age. Regular exercise can reduce your risks for cardiovascular diseases like heart attack and stroke, diabetes and other metabolic diseases. It can help us improve our memory and maintain it as we age and it can help prevent dementias and Alzheimer’s disease. And these only represent the tip of the iceberg! I know what you’re thinking…how much exercise? The recommendations vary from 30-45 minutes several times a week to everyday. A new study even suggested that 10 minutes of the correct type of exercise can be as good for your health as 45 minutes of standard cardio exercise. What is clear is that to maximize exercise benefits you need to do both cardio and strength exercises. In addition, after your workouts, it’s not ok to just sit around. A daily workout won’t cancel the detrimental effects of sitting all day. The good news is that all exercise counts; gardening, housecleaning, dancing, walking the dog, playing with the kids or grandkids, etc. The idea is to just get moving.